Male striped lynx spider Oxyopes salticus, from Kaldari. 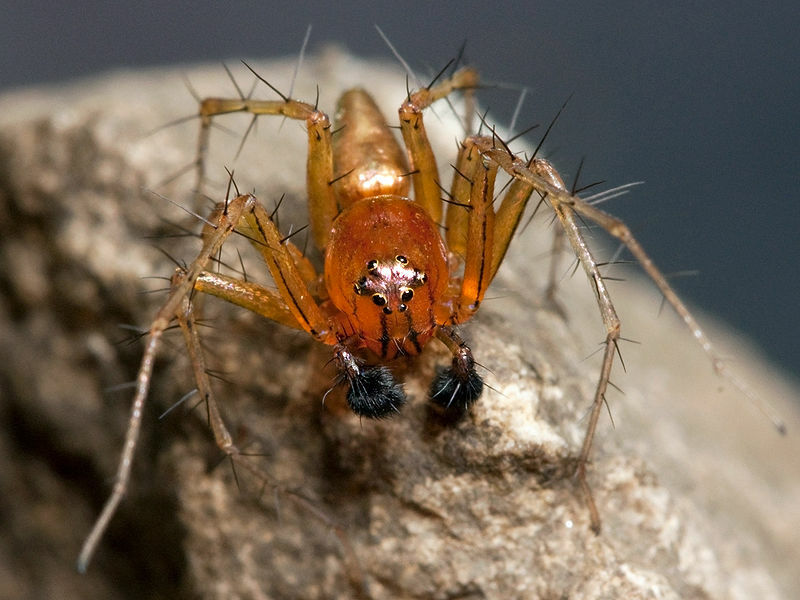 The Oxyopidae, lynx spiders, are actively hunting spiders found living on vegetation. Characters (from Jocqué & Dippenaar-Schoeman 2007): Small to large; eight eyes present forming a hexagon occupying a small area on edge of carapace, tapetum grate-like, secondary eyes without tapetum; clypeus wide; legs with prominent setae, trochanters notched, three tarsal claws; ecribellate; entelegyne.